This past weekend, I had the pleasure of visiting the Ghostly Manor in Sandusky, Ohio. I've been to Sandusky 10+ times over the years, but always to visit Cedar Point, and I had never even heard of Ghostly Manor before visiting it. However, I found that there's actually quite a lot to do there, and the activities will appeal to all ages. 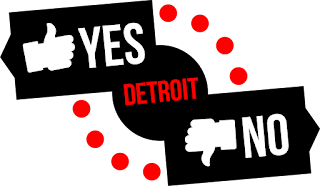 My friends and I - all in our mid-20s - set out early Saturday morning from the Detroit area, and it was only about a 2-hour ride to Sandusky. 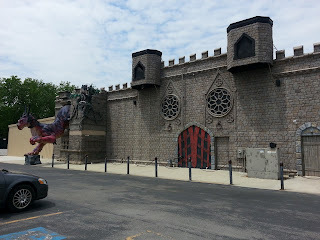 Our first stop was Ghostly Manor, and we then had to decide which of its four activities we wanted to experience first. 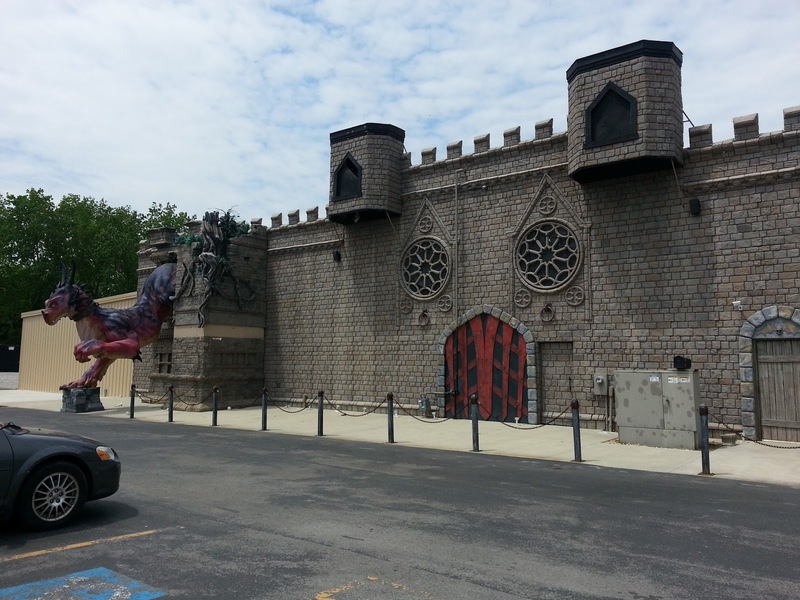 Ghostly Manor is a "thrill center" and is known in the area for its haunted house. I hate scary movies and am not a huge haunted house fan either, but my friends and I decided we had to try that first. I made the one guy in our group go into the house first, and from there we journeyed through the "house," having a sometimes scary, but mostly fun experience. 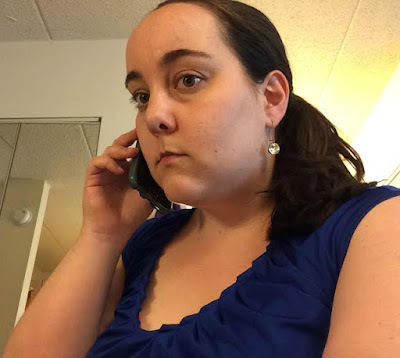 The house has actors that will pop out at you randomly - it might actually be the same actor, who trails you throughout the house - and will definitely make you jump more than once. The rooms are themed, and there are some that are pitch black which add to the scariness. Overall, I would recommend the haunted house for ages 10-12+, unless your child is very brave. One of my friends who loves horror films was even scared a few times! However, it was also a fun experience, too. From there we took part in the 4D motion theater - it's 4D because the seats you are in move around throughout the short film. There are five movies you can choose and we chose the Canyon Coaster, which was very Indiana Jones-like. After the motion theater, we did the 3D mini golf, which definitely interesting! It was hard to gauge where the golf ball needed to go with the 3D glasses on, but the walls and sometimes the floor often "pop out" at you, which was fun. 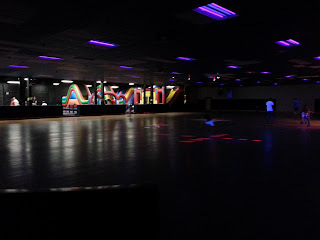 My friends were excited to go skating, for last, but I have a hard enough time staying on my own two feet - let along adding skates or roller blades to the mix! 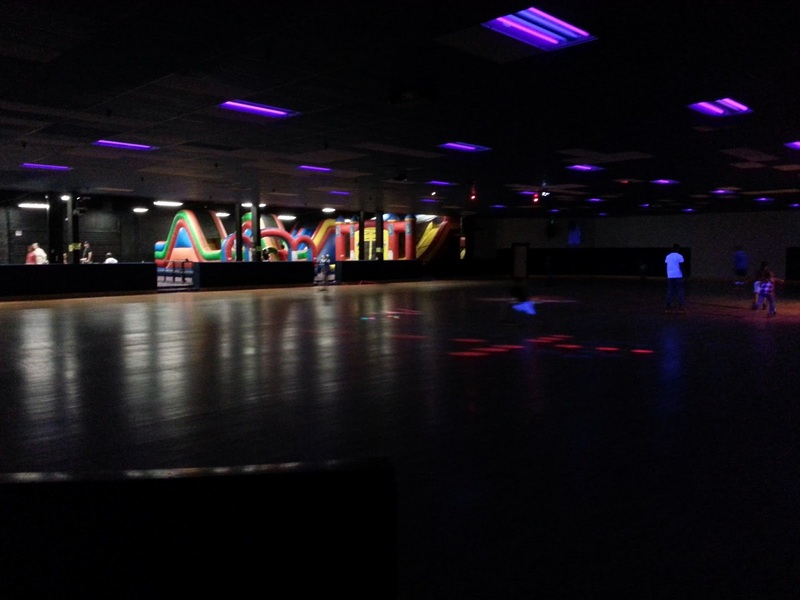 We all chose to rent skates, and after a while I got the hang of it, although I definitely sat out a few laps while my ankles got used to the feeling of the skates. Overall, we had a blast at Ghostly Manor, and would definitely return! There were a few birthday parties going on when we were there, too, and it would be a great place to have a kids' party or even a skating party for any ages. In October, the Manor will have the Lake Eerie Fearfest, which will include five haunted houses for $25 - only $5 per house! I'm sure Ghostly Manor gets busy around Halloween time, but it's a great place to visit all-year round, too - all of its activities are indoors, so it would be ideal during cold weather months too. 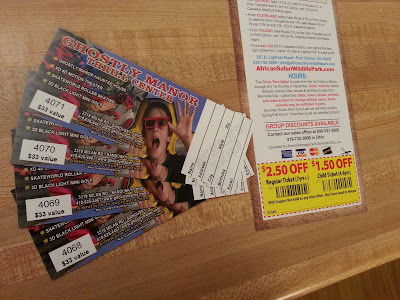 Prices for Ghostly Manor can be found on its website - you can either pay a la carte for the activities (ie, the haunted house is $11) or you can get a Thrill Pass, which in my opinion is the best deal: $25 for the haunted house, mini golf, motion theater, and roller skating (skate rental being extra). Click here to see more photos from my day there. Ghostly Manor has been kind enough to offer me four VIP tickets to give away! 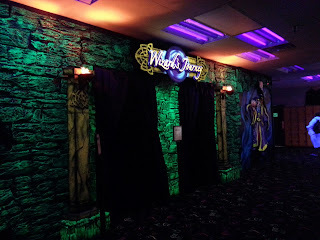 Each includes the activities I experienced: the haunted house, mini golf, 4D motion theater, and roller skating. I'm also tossing in some coupons for the African Safari Wildlife Park, a drive-through safari experience that was also pretty awesome - the animals come right up to your car. Contest will end next Tuesday, May 28th at 11:59pm EST, and winner will be emailed on May 29th and have 24 hours to respond, or an alternate winner will be chosen. U.S. addresses only, please. 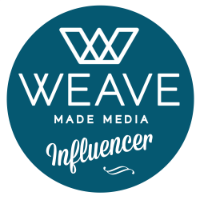 *Disclosure: I was provided with an all-access pass to Ghostly Manor, as well as a one-night hotel stay, tickets to the African Safari Wildlife park, and some other goodies in exchange for this review. The opinions expressed here, however, are my own. PS ... this commercial is scarier than the haunted house was, in my opinion!